It is rare for a franchise to be flawless in its execution. More often than not, a long-standing franchise will have at least one entry that weakens it’s portfolio. Anno, however, has been fortunate in this regard. Many might argue that the last title set in the future, Anno 2205, might be the weakest entry in the franchise and for good reason: it deviated so much from what fans had come to expect that it felt like a different game altogether. I loved it, however, and was quite surprised when I learned that Anno 1800 would arrive at Vamers HQ for review. This is where I started wondering whether it will continue on the precedent that 2070 introduced, or be a return to form and abide by the rules and gameplay that fans have loved since the inception of the series with Anno 1602. 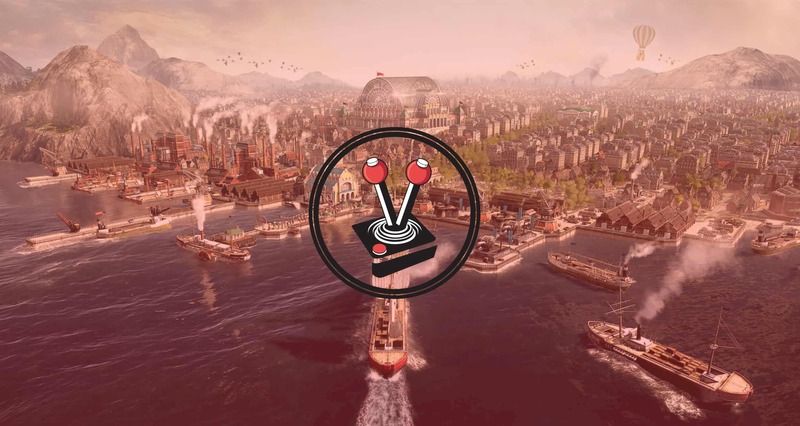 Now that I have finally clocked enough time in the game to write this review, I can gladly say that Anno 1800 will have all long-time fans roar up in celebration. It will also appease newer fans of the franchise – fans who might prefer the newer titles. 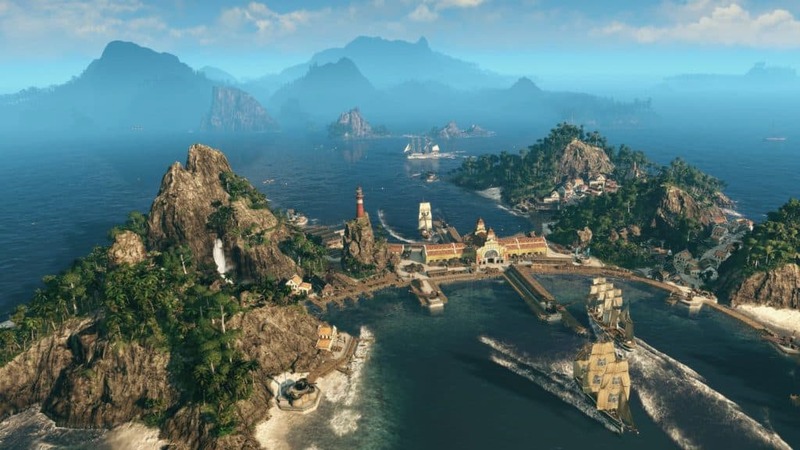 The reason for this is because Anno 1800 perfectly marries the simplicity of the earlier titles, while incorporating a bit of the nuance introduced in the newer games. Anno titles have always been a bit hit or miss when it comes to narrative. From what I can recall, the very first Anno games never really had a story. That changed with recent games where the campaign would act as an arbitrary entry into the world of the game. For the most part, however, they serve as nothing more than glorified tutorials. In Anno 1800, this campaign structure remains. This time around, however, I found myself somewhat more invested in the story than I thought I would be. It starts off innocently enough – you are returning from some expedition in another country, letter in hand from your younger sister. The letter informs you that your father has passed away and that your nasty uncle wants to see your side of the family vanish into oblivion. She informs you that she bought a new settlement on an uninhabited island with her last savings. You must now rebuild the empire that your father once had. Especially if you are to succeed in overthrowing your uncle as the greatest leader the Old World knows. The rest, as they say, is history. Regardless of the basic narrative, there is no denying that the campaign is a tutorial of sorts. It eases players into the gameplay, one chapter at a time. As you start off on your new island and city, Ditchwater, you are immediately introduced to the basic needs and wants of your citizens. From there, you are introduced to resource gathering, refining, and even diplomacy and trading. All of which comes in handy when your island has no space or does not offer the resources needed to continue to grow. This is usually where previous Anno titles would leave you to it. I remember past titles conveniently throwing you to the wolves after you effectively started trading with neighbouring rulers and cities. Anno 1800, however, continues long past this checkpoint. The story quickly progresses to the point where you are now embroiled in a conspiracy that would overthrow the crown, and one which sees your family name dragged through the mud by much more than just your corrupt uncle. The story does a decent enough job of forming an engaging narrative. What I loved most about it, however, is how the story is designed in a way that ensures players go through every painstaking detail and option at least once during their play through. This way, it teaches you the ins and outs of the game, without being a constant pain in the back. Right from the start, your sister explains that you need farmers residences so you can grow your population. This evolves to a point where the game explains how you need to connect roads to a market square to keep citizens happy. After this, you learn about farming, and how the wool from a sheep farm can be refined into worker’s clothes. After you have a bunch of game time by yourself, the story then continues to explain how a full farmer’s residence can eventually be upgraded to a worker’s residence. Now that you have progressed enough to have workers, you unlock entirely new tech trees that not only cater toward increasing the happiness of your new worker residences, but also increase the value of your island. Once this is done, you continue toward Artificers, and the cycle continues. 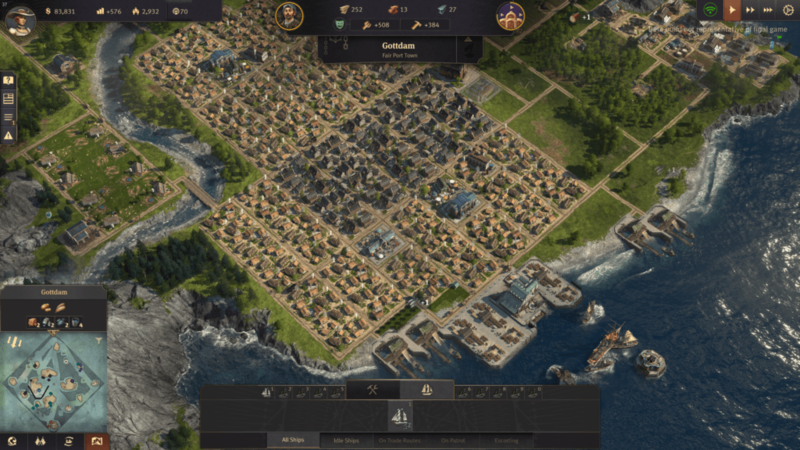 Although Anno 1800 can be explained as a city builder with 4X elements, the point of the game is to manage resources and get the city to grow and flourish. I mentioned the citizens above. What I did not mention, however, is that they are an integral part of the game. As you play, you need to keep your citizens happy. Farmers, for instance, need clothing, fish, and to be near a market. This means that residences nearby and in-range of these things will pay more taxes, and keep your bank in the green. As you progress through to new tiers of residences, you will notice that you will still very much rely on the previous tiers. This means that you will eventually have to balance out how you upgrade the houses, in order to be most effective. I ended up keeping farmers as close to the market as possible, with evolving housing tiers further and further back. The further out the city grew, the more I ended up placing services such as churches, fire stations, police stations, and the like. Keeping citizens happy also means that newer residents will come to your city sooner; and how many citizens you have directly impacts what you can do in your city. Farmers, for instance, require clothing to be happy. Clothing requires wool. To refine this wool into clothing, you require a knitter. Both the wool farm and the knitters, require a certain number of farmers to man and maintain them. Besides this, you also need a warehouse nearby where clothing and surplus wool can be stockpiled for use elsewhere. This is where the simplicity factor comes into play. Warehouses across your city automatically share inventory. 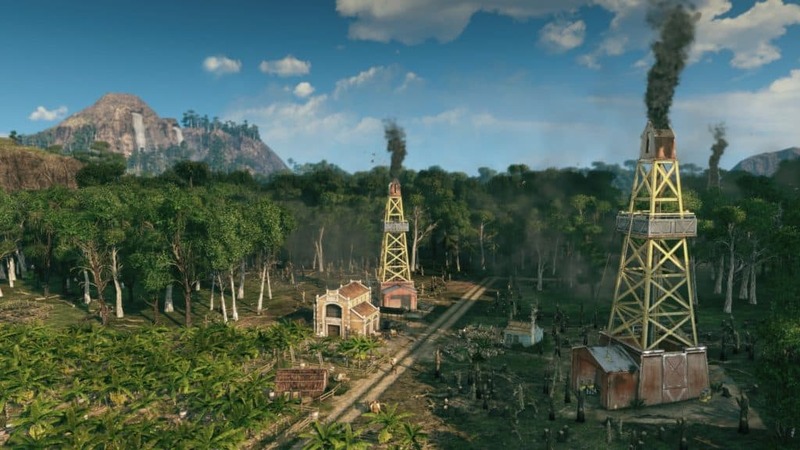 This means that you can have your coal mines and zinc deposits on the other side of the island, but once their stocks have reached the closest warehouse to them, it automatically shares with the same inventory at the main city hub. Now your weapons factory can make use of the coal, or your artificers can make use of the zinc in order to turn it into things that your citizens need, and things that you can trade to neighbours to keep that cash flow going. As you reach different ages (unlocking higher tier work classes), you will eventually build up needs to resources not available on your island. This means that you either need to expand and colonise new islands or jump into the ever-growing diplomacy menu. In the diplomacy menu, you can flirt, gift, or even insult all known neighbours. Here, you can set up alliances, ask for peace treaties, and, most importantly, broker trade deals between your nation, and the nation with the items that you require. Once you have traded enough items between nations, you can opt to ally yourself with like-minded nations. Allegiances mean that you must come to the aid of their ships and ports when attacked, and they must do the same. This is an easy enough concept to understand. However, where it becomes more complicated is when you finally unlock expeditions, and the ability to cross the seas and settle new islands on other continents. The game starts out with four continents, each with their own pros and cons. It is up to you to figure out what those are, and then to send ships with the correct goods and stocks to and fro, so all of your islands and cities can prosper. The game calls this a “session”. Much like SimCity, every session runs at the same time. This means that while you are managing your New World tropical city, Ditchwater in the Old World will still be running in the background. Riots can still break out, fires can still happen, and warring states can still attack your ships and ports. Essentially, the longer you play, the more you have to manage. With that said, the beauty of it all comes by way of how the game manages to convey all of this information to you. To the left of the screen, a simple notification bar houses everything important that you need to keep tabs on. Warnings and danger notifications are at the bottom, while quest logs are at the top, and general notifications between those. Similarly, an easy to understand user interface dominates the building pane at the bottom. Here, you can filter things via categories (i.e. consumables, residences, etc. ), or how they are unlocked as you progress through the ages. At the top of the screen, you have an overview of all your resources, which become global once you unlock multiple sessions; and a time bar on the top right. The presentation in this game is flawless. Almost as flawless as the graphical representation! Visually, the game is gorgeous. Zooming out and reaching the camera ceiling will reward you with a beautiful overview of all your buildings, with tiny, pixel-sized sprites that represent your citizens going to and from the various warehouses you have dotted across the city. Zooming in, however, will make your entire population appear before your eyes. You can watch them walk the streets, carry goods, and carry packages from one workplace to another. Zooming in also renders the buildings in more detail, making them come alive with animations! Zooming into an iron mine, for instance, will still showcase the same building. Only now you can see people working the mine, little mine-carts going up and down the track as they get loaded with pieces of rock. Zooming into a grain farm not only rewards you with beautiful windy grain that follows the same direction of wind your ships are caught in, but also workers working the field, complete with scarecrows and bales stacked on top of each other. It is gorgeous. While the citizens that you can see scurrying about in your city are not exactly simulated as they are in games such as City Skylines or SimCity, it helps to make the city feel alive. The same goes for wildlife that flourishes where you have not expanded your city, or even the fish and the seagulls when you zoom in to the ocean areas surrounding your various controlled islands. From ships on the ocean, to fauna and flora in the wild. Even the mountains and the tiny little springs that you can see when zoomed all the way. The game is a beautiful masterpiece, and it runs like a dream. My PC is not new and not an enthusiast spec by any means – currently rocking an Nvidia GTX 970. Even so, I could run this game on High settings, and not see a single stutter for all the sessions that I played. Loading is not too bad either. Once you are in your game, complete with multiple sessions, each with multiple controlled island states, it can jump to and from sessions and islands with a single click, and no loading in between. From the moment that you first see your little schooner and read the letter that your sister sent you, to the moment where you unlock your second session and finally set foot on that desert continent that has been teasing you since you could open the world map; the game does not disappoint. 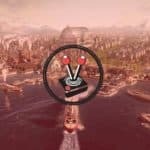 Anno 1800 is nowhere near as complex as the likes of Sins of a Solar Empire, for instance, but it is much more involved than what you would expect from the likes of SimCity.Managing entire cities and continents should be a challenge. Thankfully, it is a pleasure in Anno 1800. Thanks to intuitive menus and easy to learn progression systems that tie well into a happiness meter, progression becomes a natural result of playing the game; versus being a chore, or a means to an end. 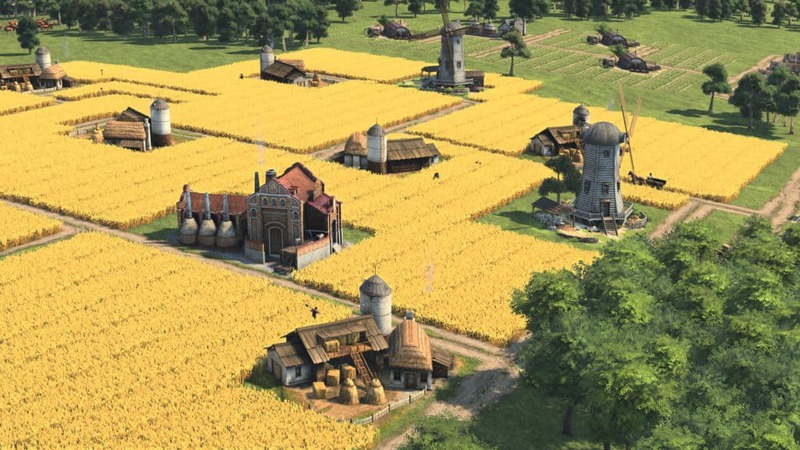 Whether you start out by playing the campaign or not, you will find that you have upgraded your first set of farmers to workers and unlocked the Age of Industrialisation in seemingly no time. The rest of the ages follow soon after, and just as quickly… so long as you can keep your citizens happy. To this end, I must say that the game offered more surprises than thought. 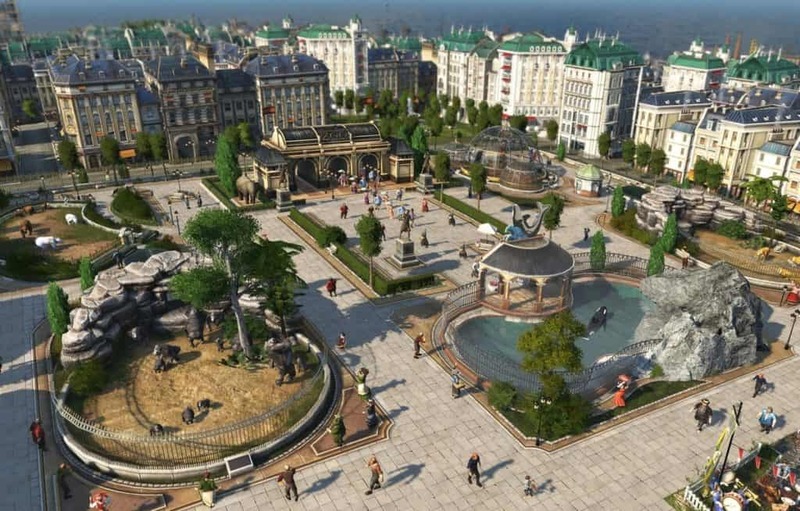 I loved the previous games set in the future and was taken aback when I had read that Anno 1800 may go back to the roots of the franchise. However, I can now say that the game has successfully married the past and future iterations of the franchise, in the best way possible. 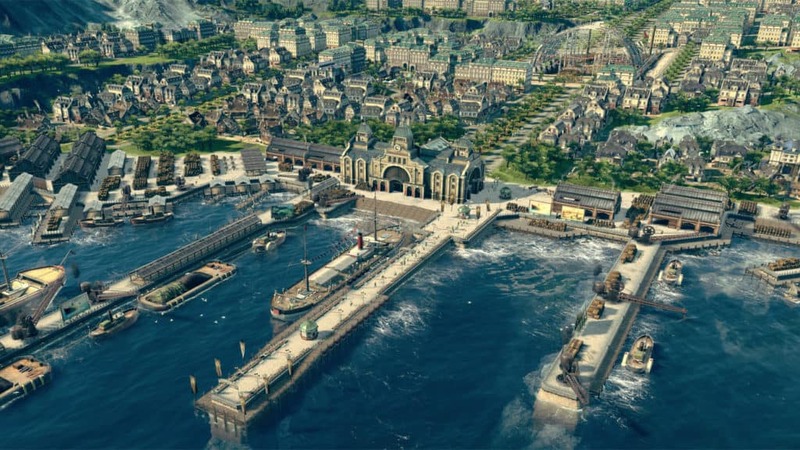 Anno 1800 is an extraordinary city builder. From the moment that you first see your little schooner and read the letter that your sister sent you, to the moment where you unlock your second session and finally set foot on that desert continent that has been teasing you since you could open the world map; the game does not disappoint. 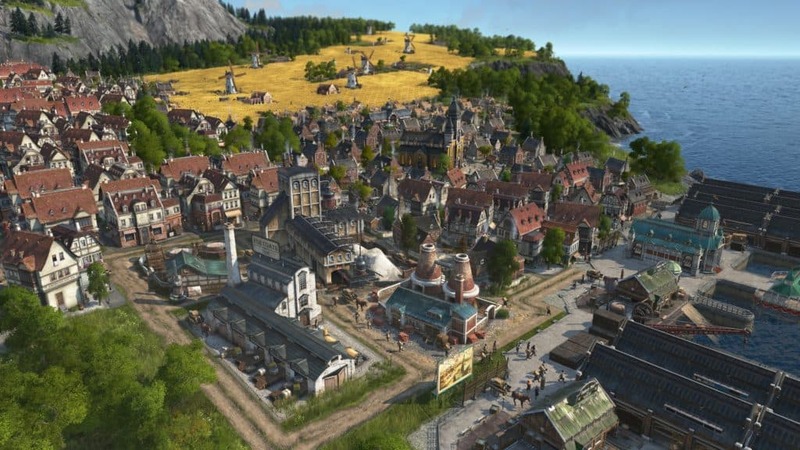 Anno 1800 successfully marries the past and future iterations of the franchise, in the best way possible, resulting in an extraordinary city builder.